Kuwait– May 30, 2016: Milipol Qatar 2016, the region’s most influential international trade exhibition for Homeland Security announces that online registration officially opened on 17th May 2016. This is to facilitate visitors entrance, getting their e-badges in advance. The exhibition officially takes place at the Doha Exhibition and Convention Centre, West Bay, Doha from October 31 to November 2, 2016 with participation of companies from UAE, Saudi Arabia and Kuwait, amongst other regional and global firms. 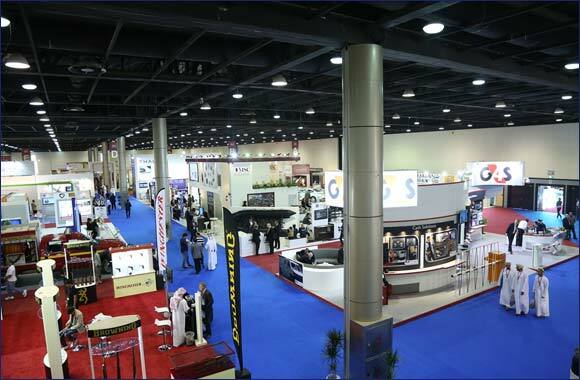 It presents the perfect opportunity for companies to showcase their products and services and network with other firms in the fields of security, safety, detection and prevention equipment and systems, civil defence, as well as various other defence supplies during the course of the three-day event. The Online Registration follows the recent launch of the new website which is more informative, more engaging and more interactive. It has been designed to provide the ultimate user-friendly experience with improved functionality and navigation right through, allowing viewers to access material easily with the option to share information across key social networking channels. The attractive design of the website uses the latest technology so the site is compatible with today's browsers and devices including a mobile version. “Today people prefer online transactions and we as event organisers find this very beneficial both in terms of streamlining the processing system and as an innovative way for visitors to get quick and easy access. Online registration is quick and secure. Moreover, avoiding paperwork is environmentally-friendly,” she added. Under the patronage of HH Sheikh Tamim Bin Hamad Al-Thani, the Emir of the State of Qatar, organized by the Ministry of Interior of the State of Qatar in partnership with the French-based Comexposium Security, this year’s exhibition will also feature conferences covering key topics such as critical infrastructure protection, crisis management & resilience, safe cities, crowd and large events security management. The new Doha Exhibition and Convention Centre is located in the middle of shopping malls and hotels and provides easy access for participants, with the added convenience of spacious parking facilities and expansive retail area. Early online registrants can go through the registration process and receive their electronic badges in advance by simply clicking on the link http://www.mybadgeonline.com/MilipolQatar/Default.aspx on their internet browsers.